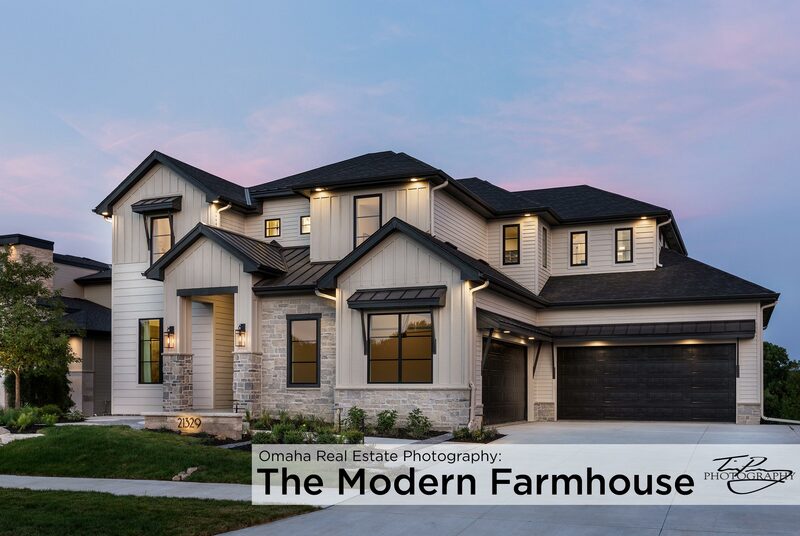 It’s been a busy summer for me, and what I’ve been shooting a lot of lately in terms of Omaha real estate photography is the modern farmhouse. 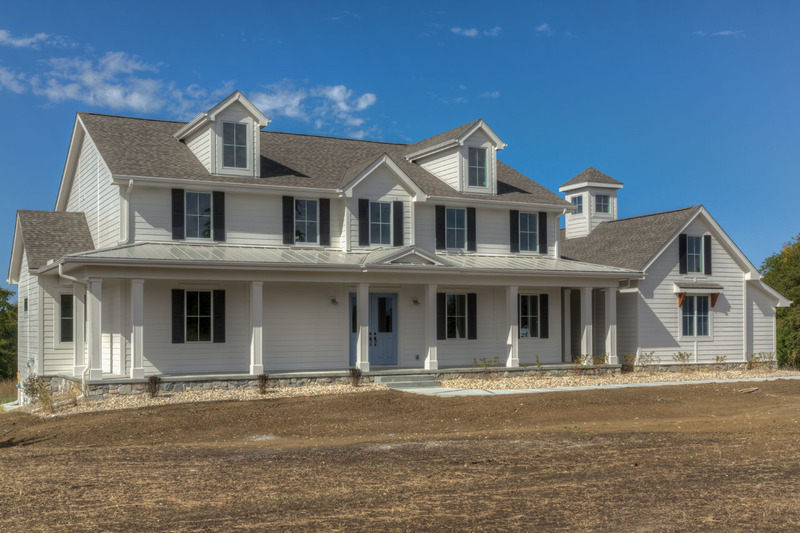 What I really like about many of the homes I shot this summer was how they are taking more modern plans and turning them into more of the traditional farmhouse style. 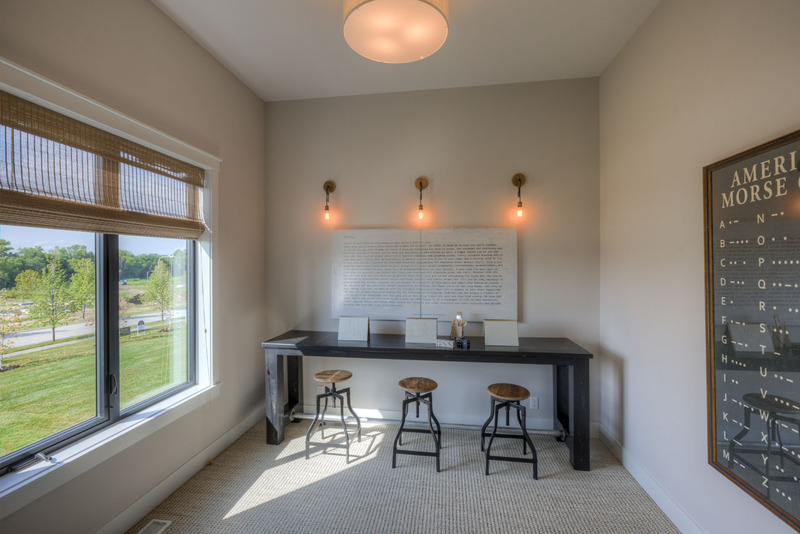 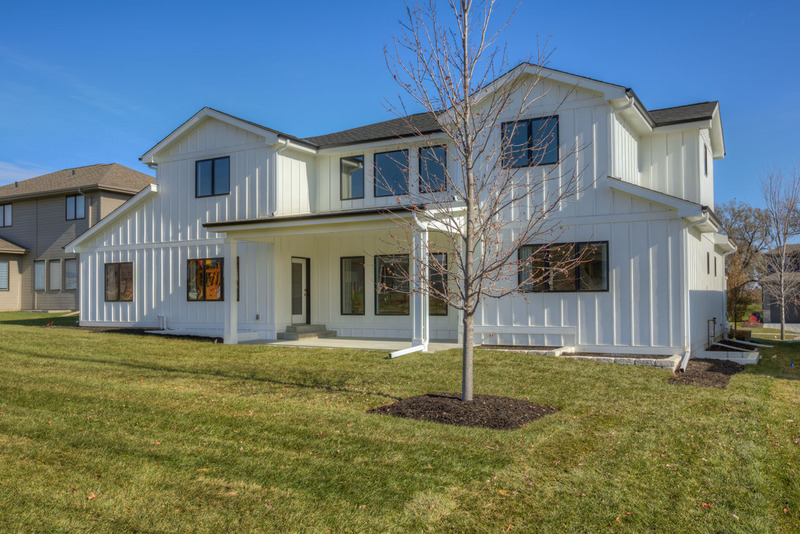 Landmark continues to outperform themselves with this modern farmhouse! 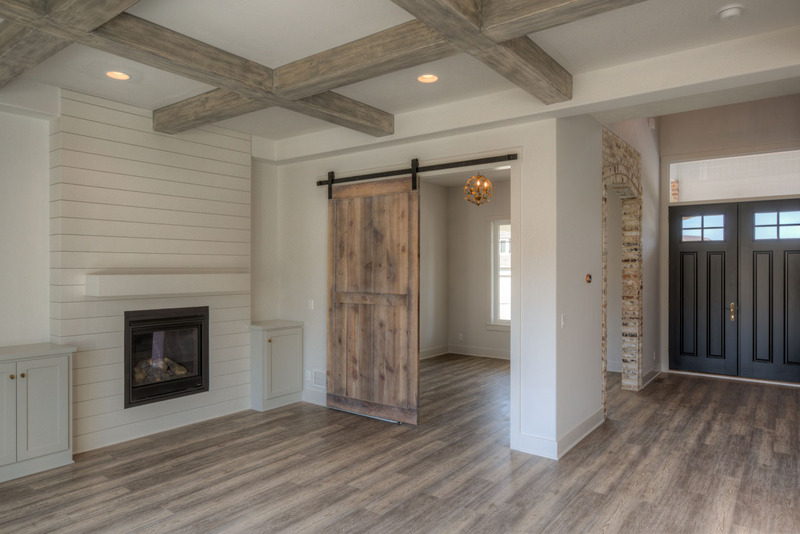 I like the mixture of the sliding barn doors with wood, brick, and stone along with metal fixtures. 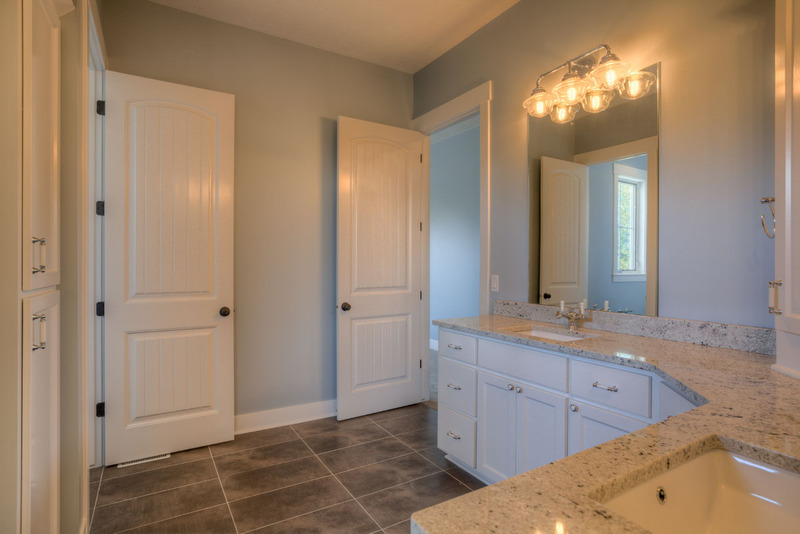 Their color tones are always spot on from the exterior to the interior, too. 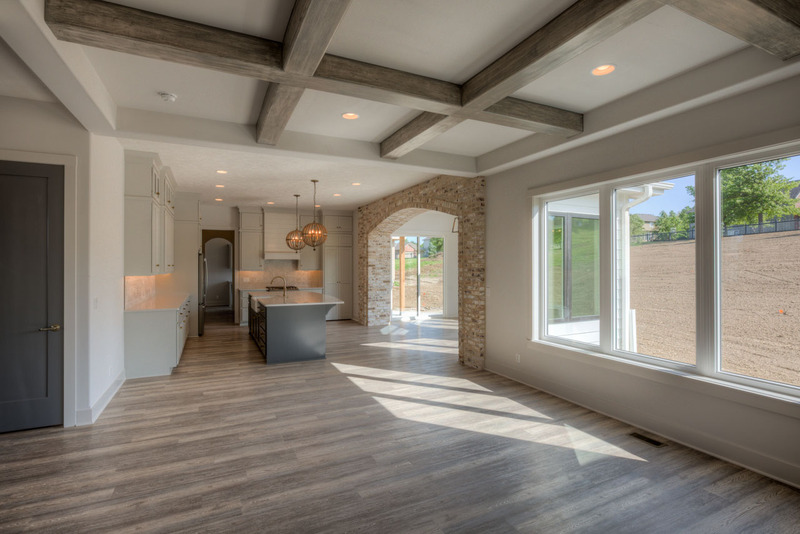 Look at how the living room flows to the dining room to the kitchen! 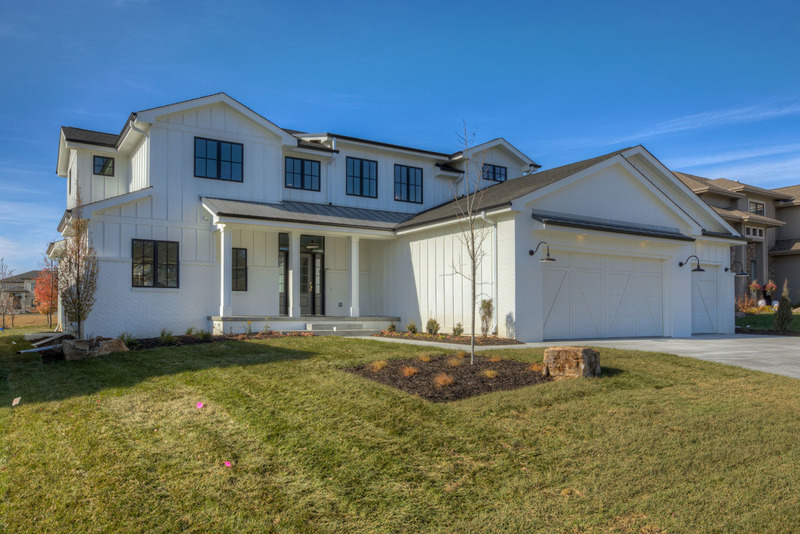 The exterior of this Gramercy Home offered by The Briley Team is absolutely phenomenal! 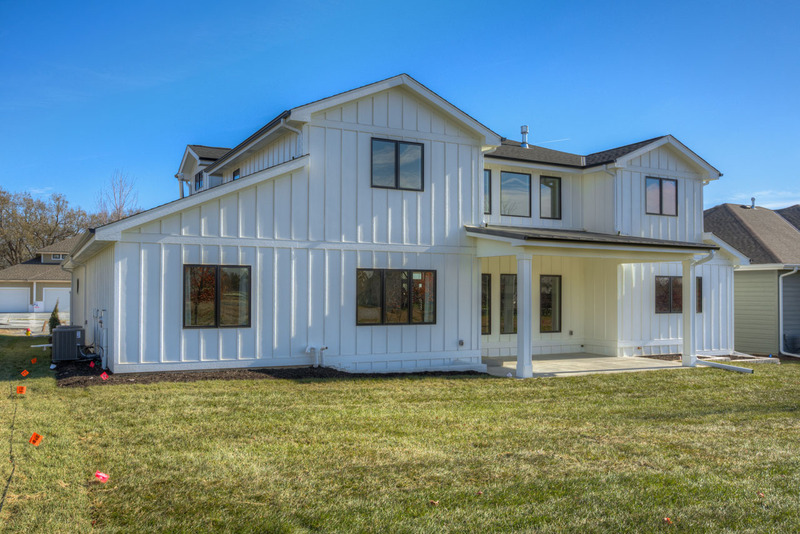 The traditional feel of a farmhouse that still has a modern look of an attached garage is very unique, too. 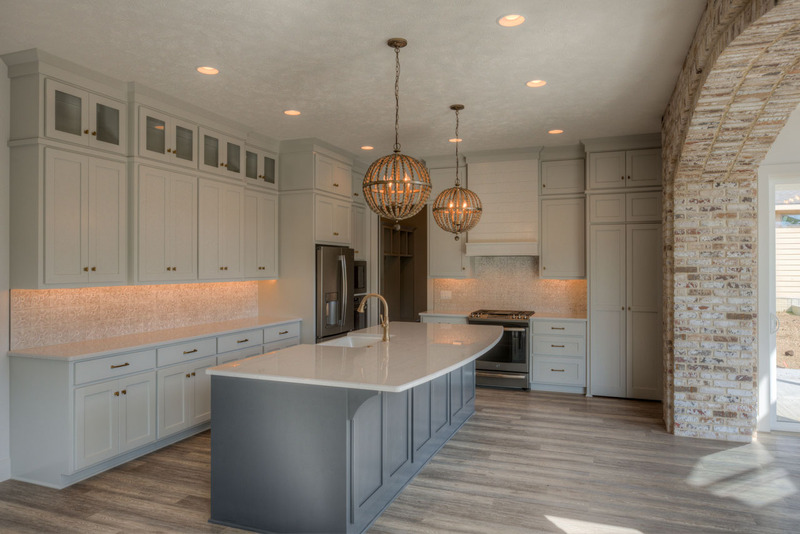 I really like the mix of tones here, too, with the grays and browns in the kitchen. 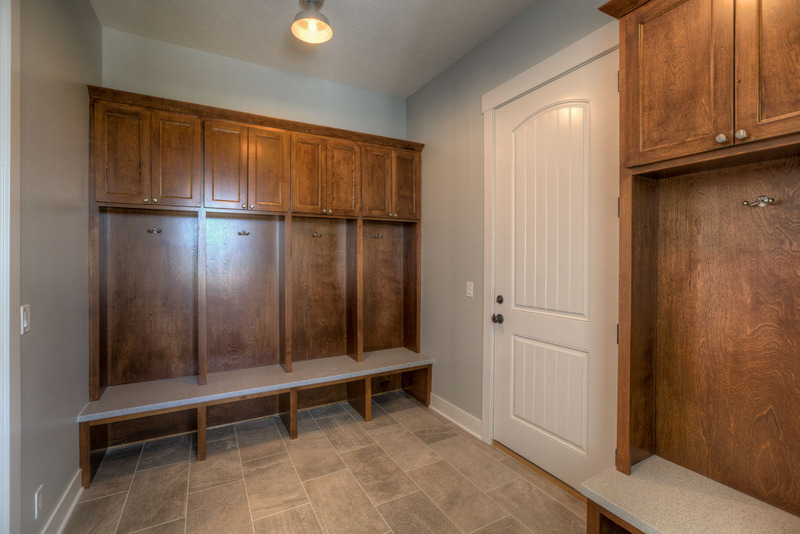 The large door off the garage into the mudroom also gives it the traditional “big farmhouse” feel, too! 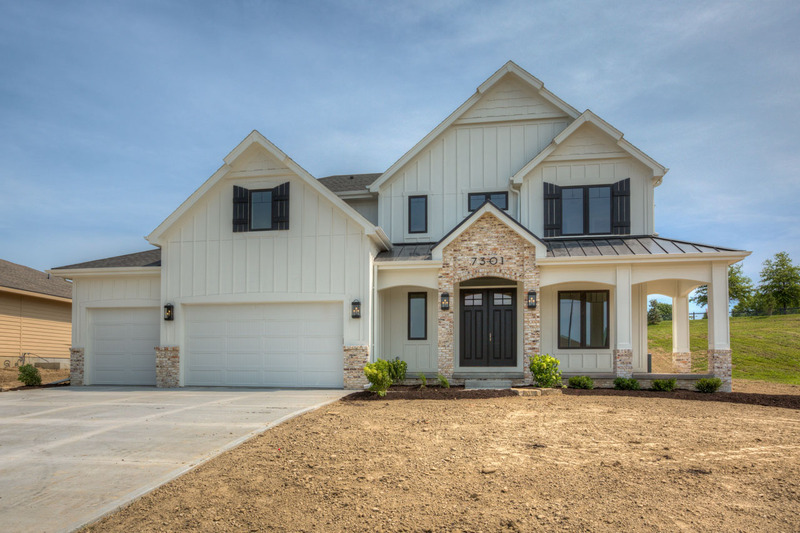 You see the same door design carried throughout the house as well. 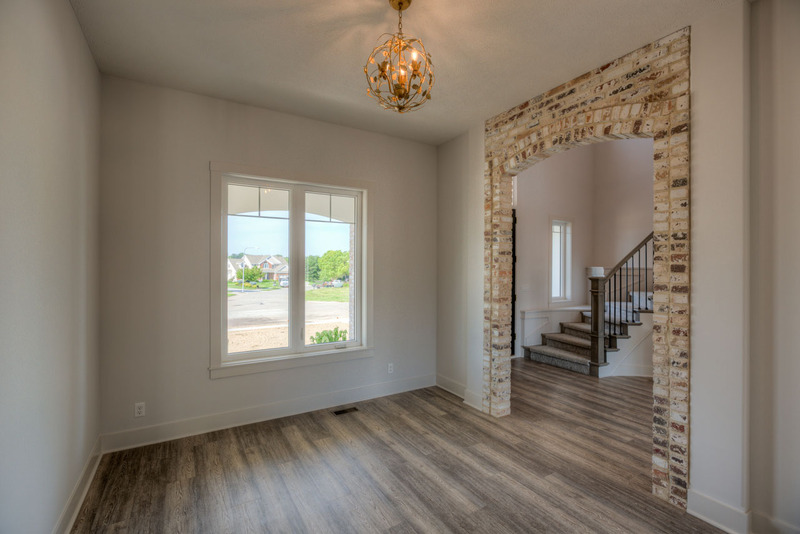 Landmark’s 2018 Street of Dreams home was full of surprises! 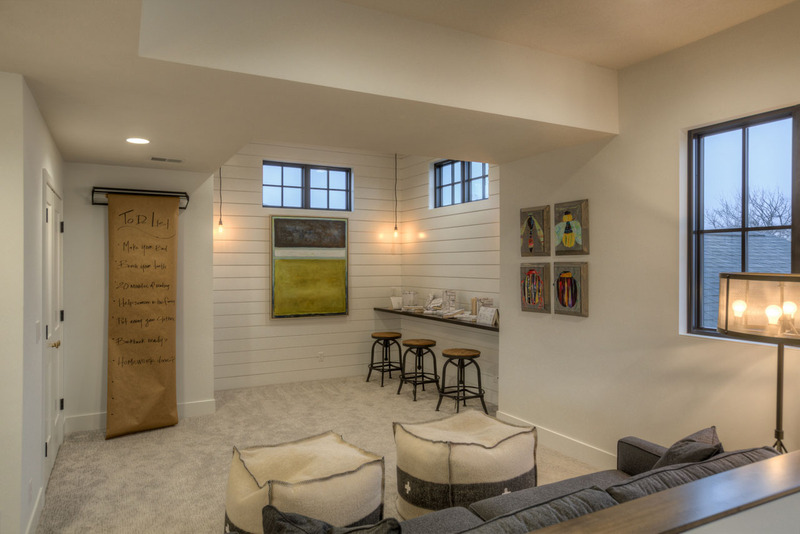 Even the detailed work of the walls in the office was stunning, down to the shiplap at the iron staircase in the foyer. 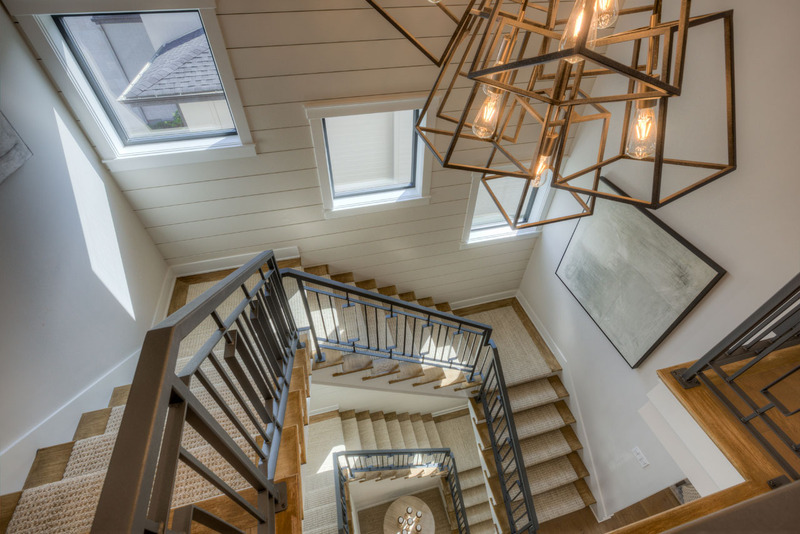 I’ve always been an admirer of their use of angles, and their staircase continues to impress. 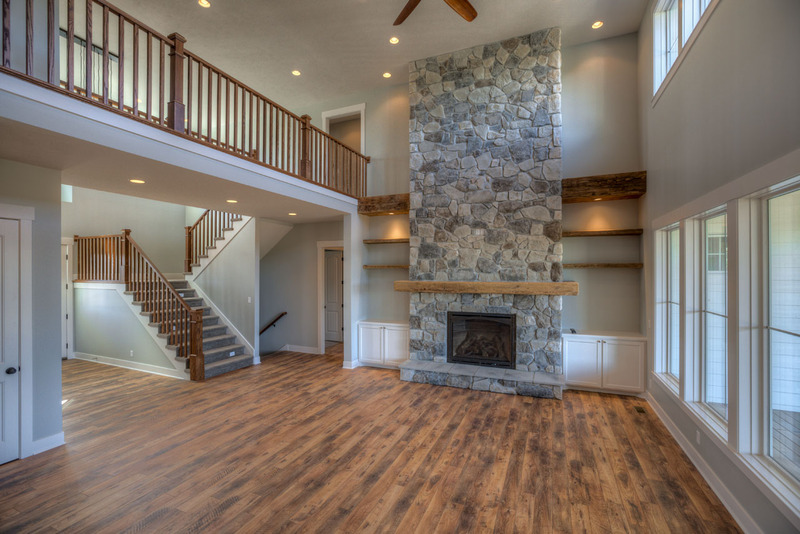 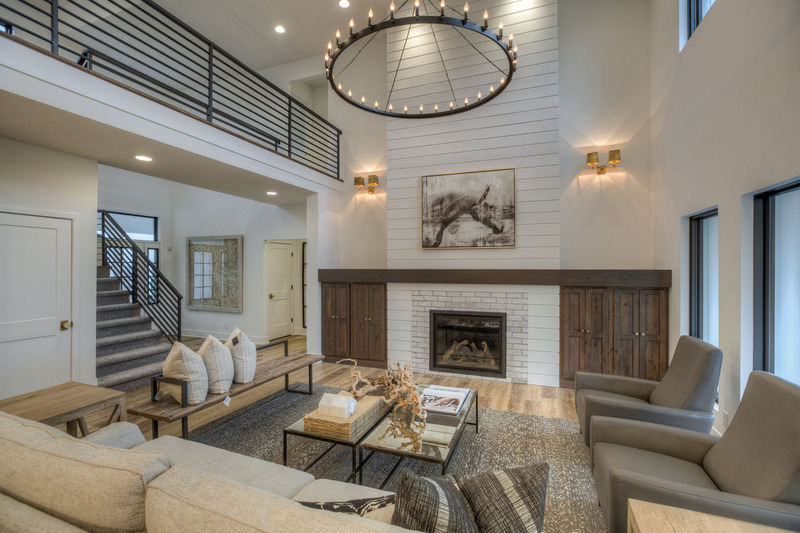 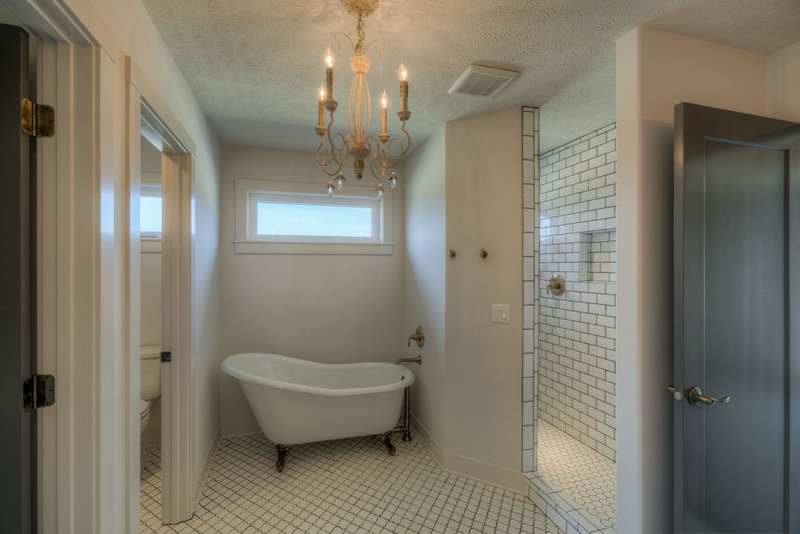 The carpet, light fixtures, shiplap, windows–everything seamlessly work works together to create an impressive beauty. 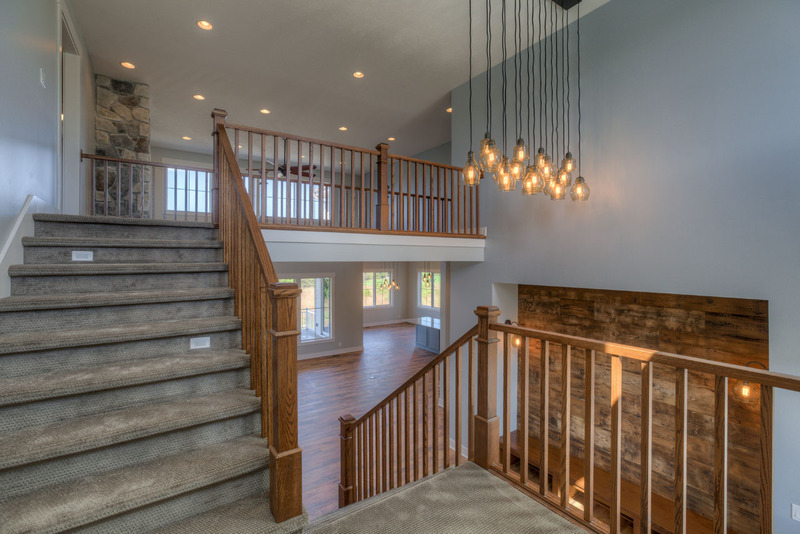 This was another project I was able to capture some of the fine detail work that goes into a fantastic custom-built home in the Omaha metro. 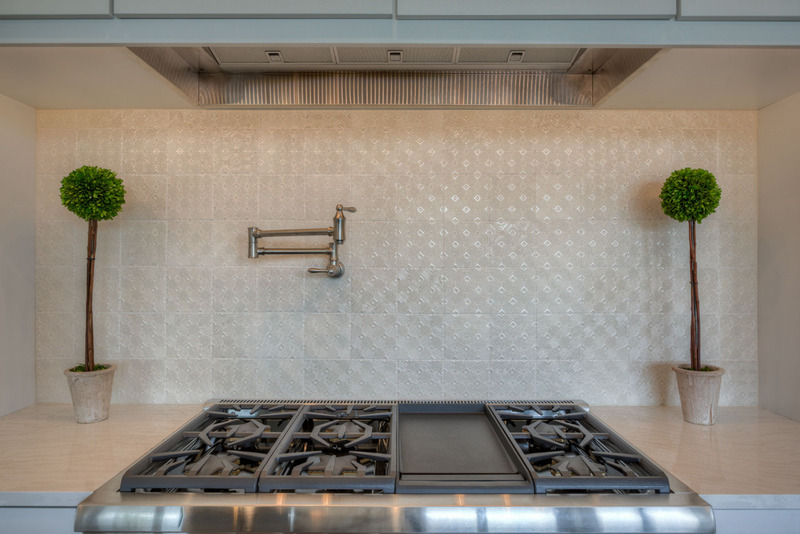 I was able to capture some amazing detail work for this Gramercy Homes shoot! 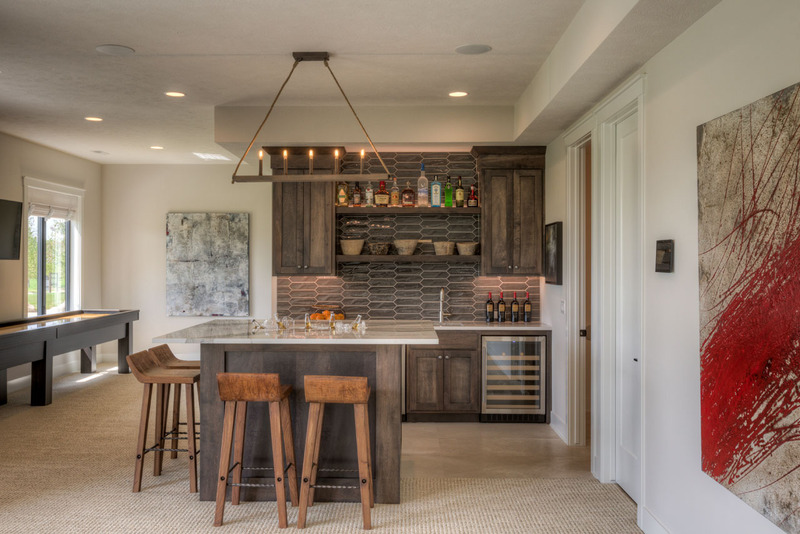 One thing that really stood out to me here was the open, floating shelving in the kitchen. 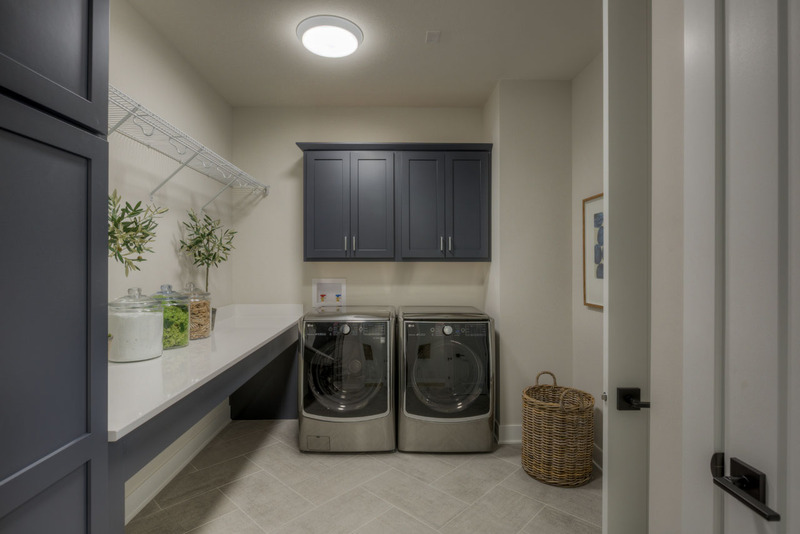 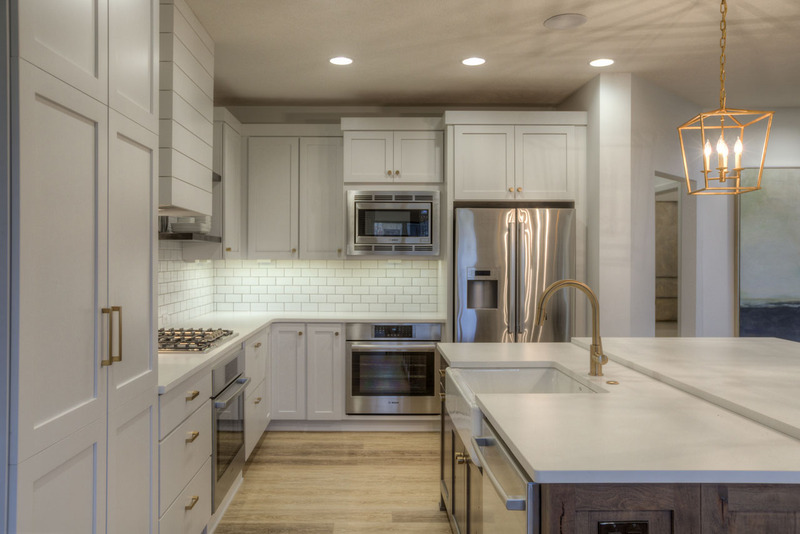 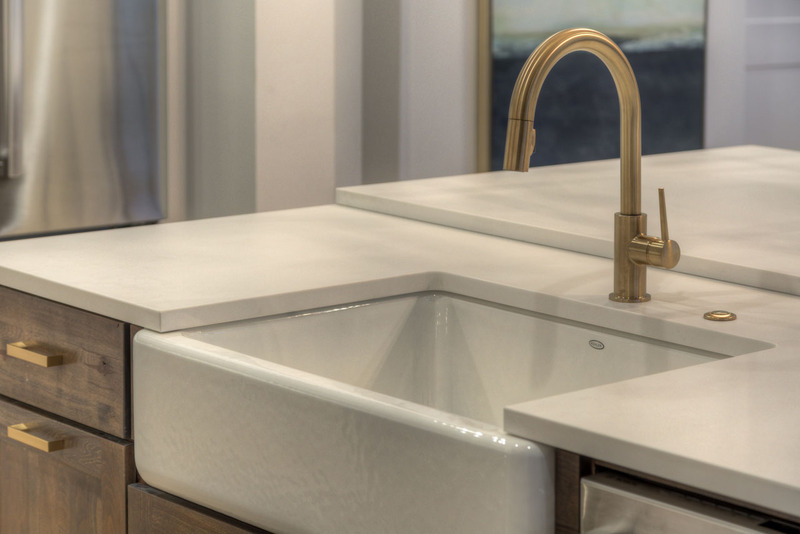 I especially like the large modern farmhouse sink in the kitchen, too! 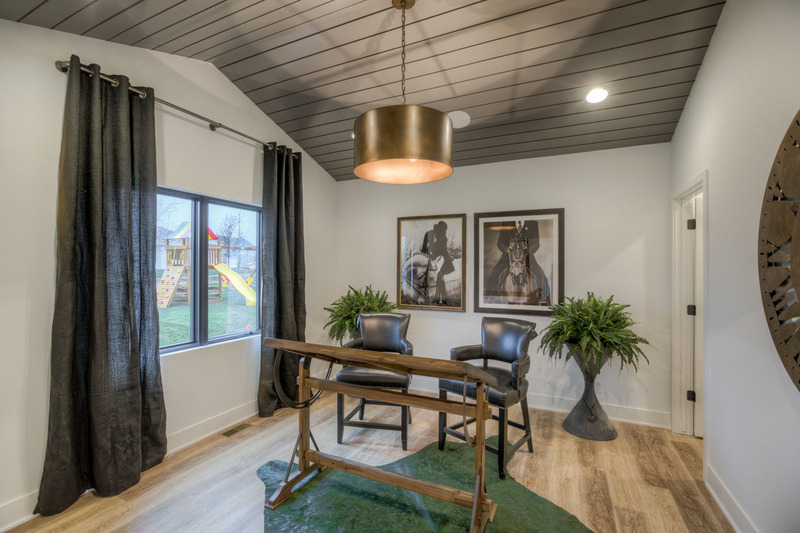 This home also had a lot of shiplap in it, especially on the ceiling in the study and in a bedroom. 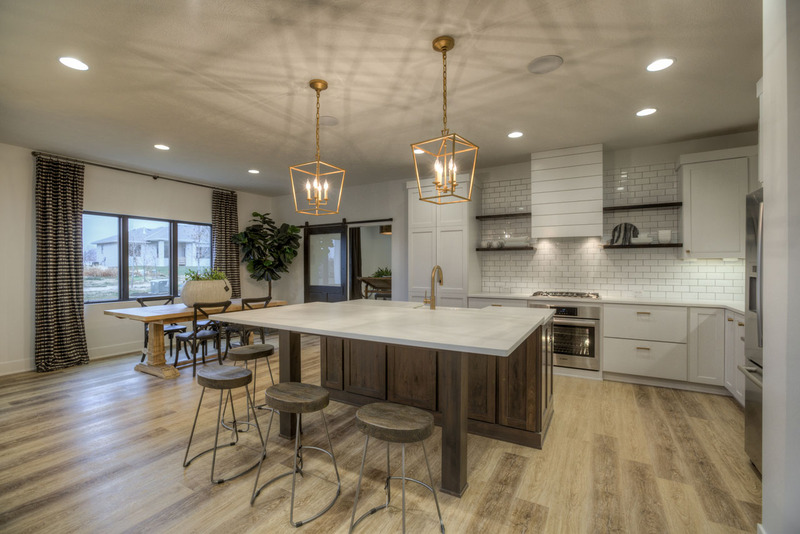 I’m really digging how this type of home is making a “modern” comeback! 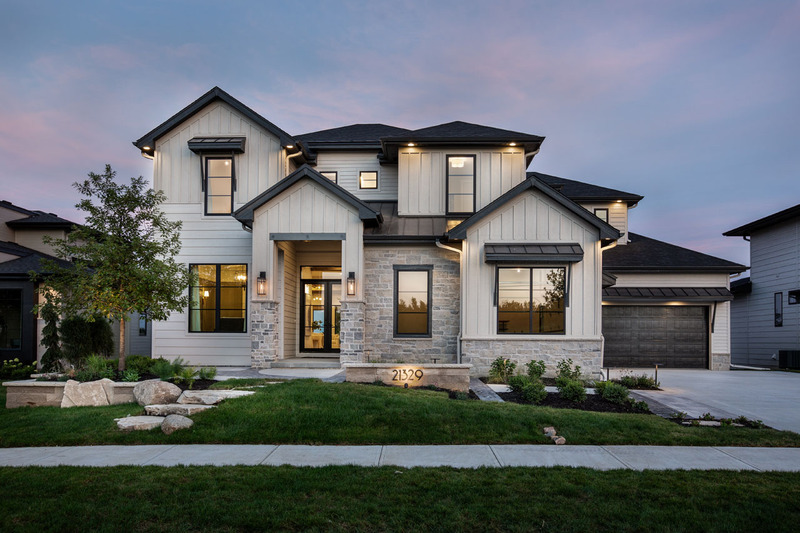 It’s been a great summer to watch how two different builders are taking a traditional type of home and using their unique visions to bring it to the modern day. 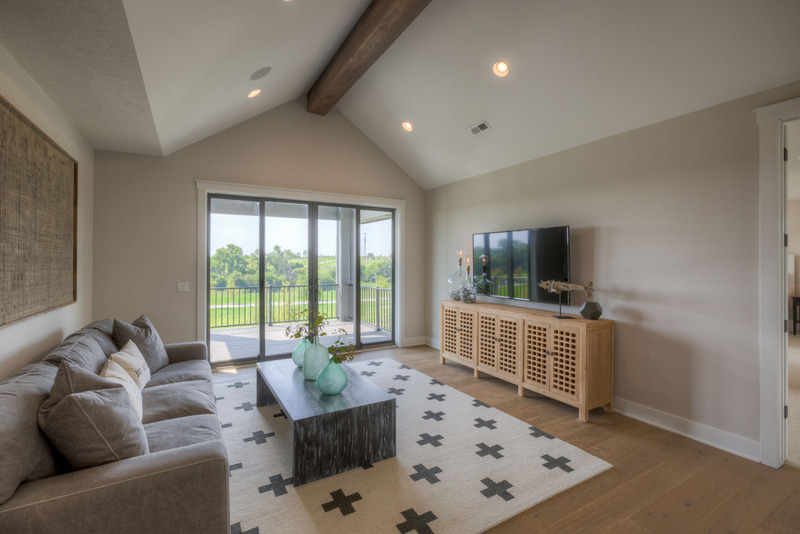 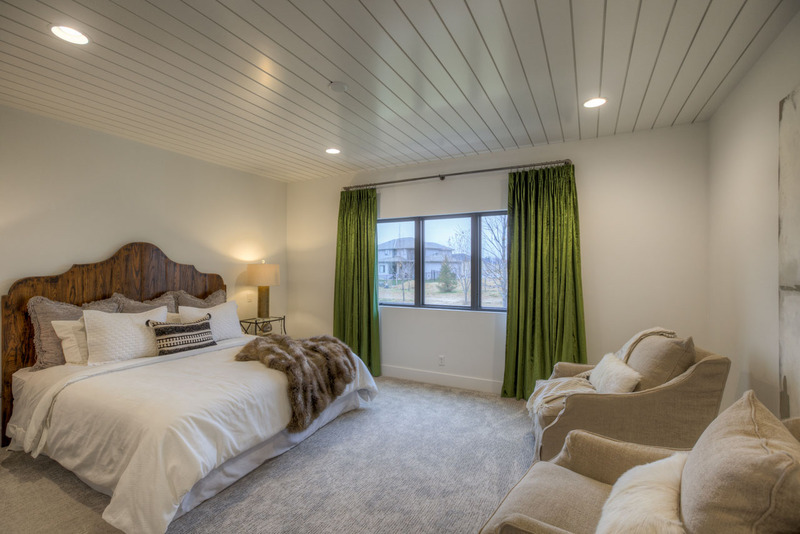 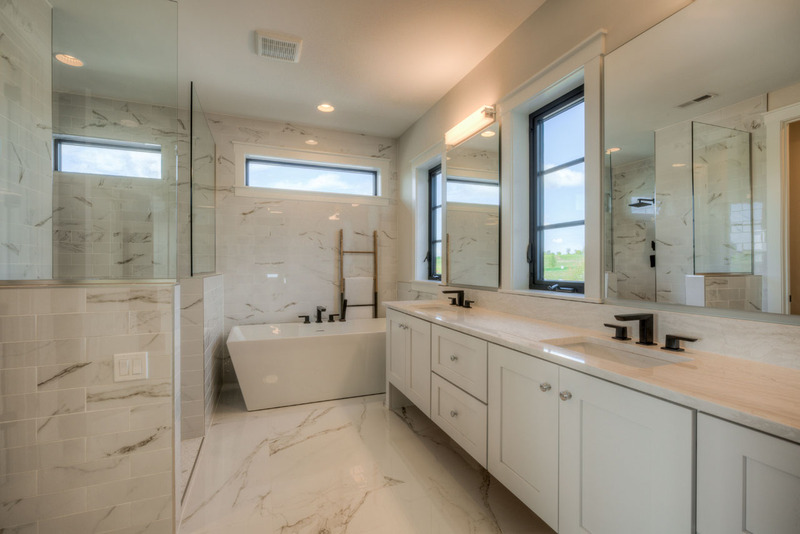 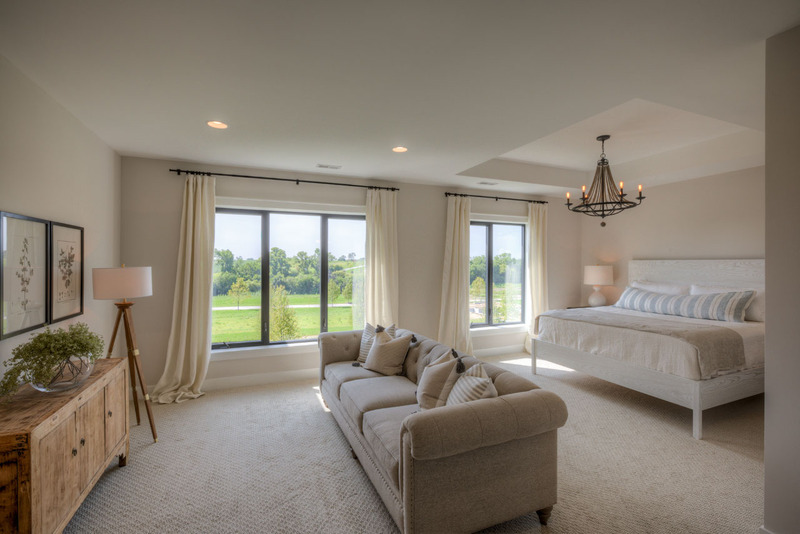 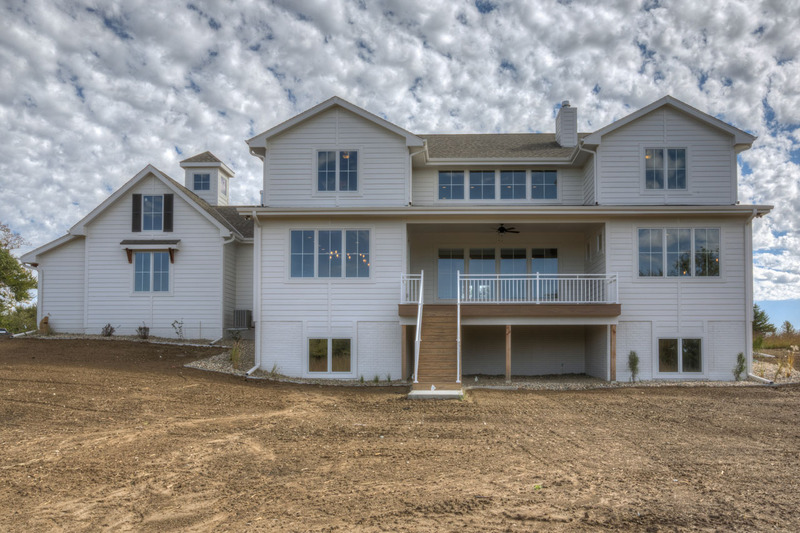 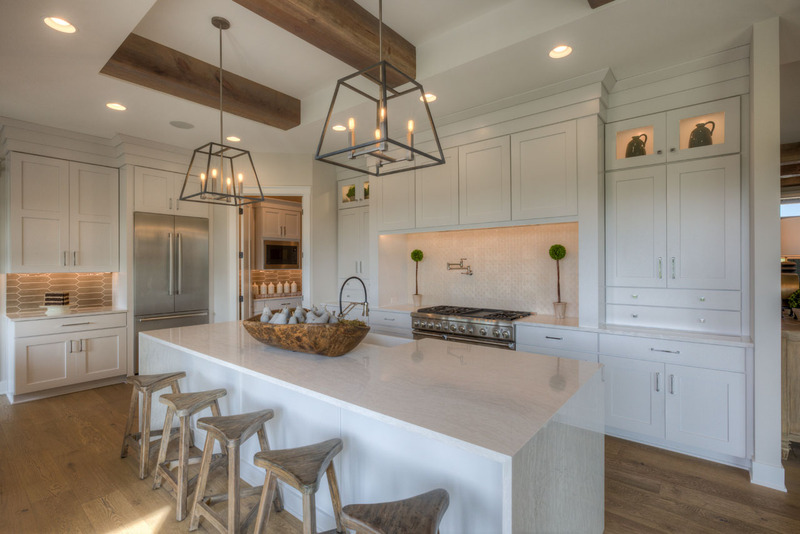 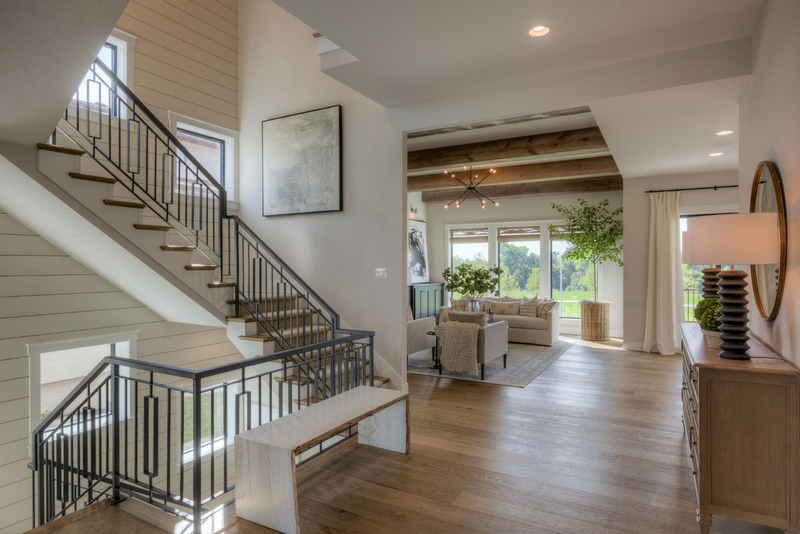 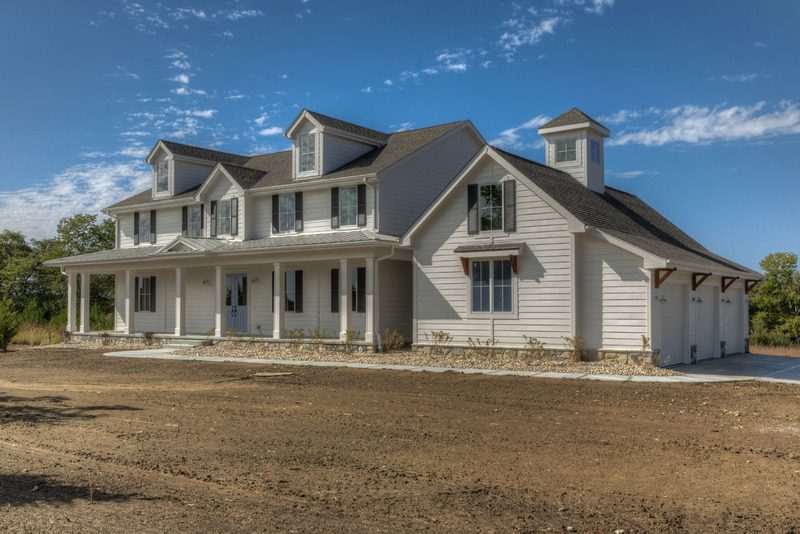 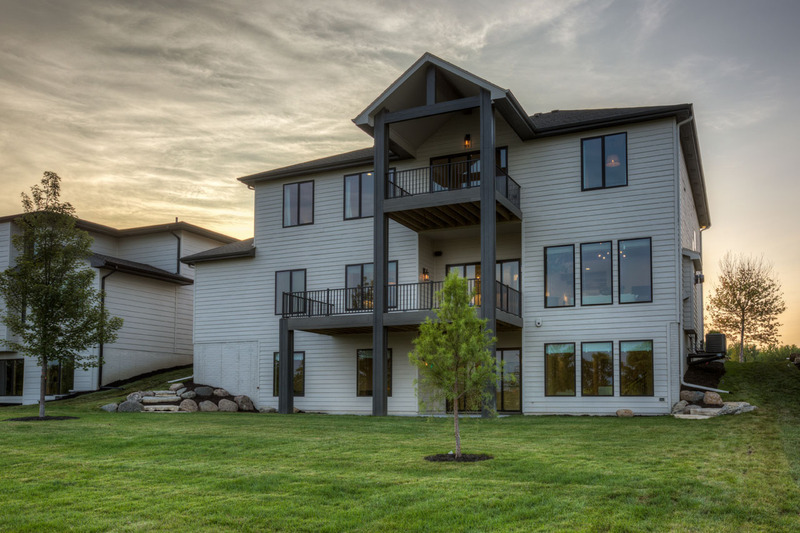 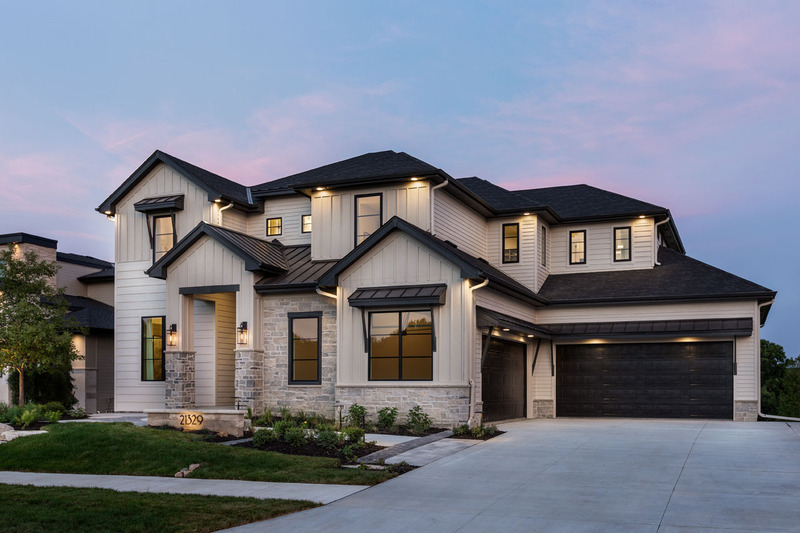 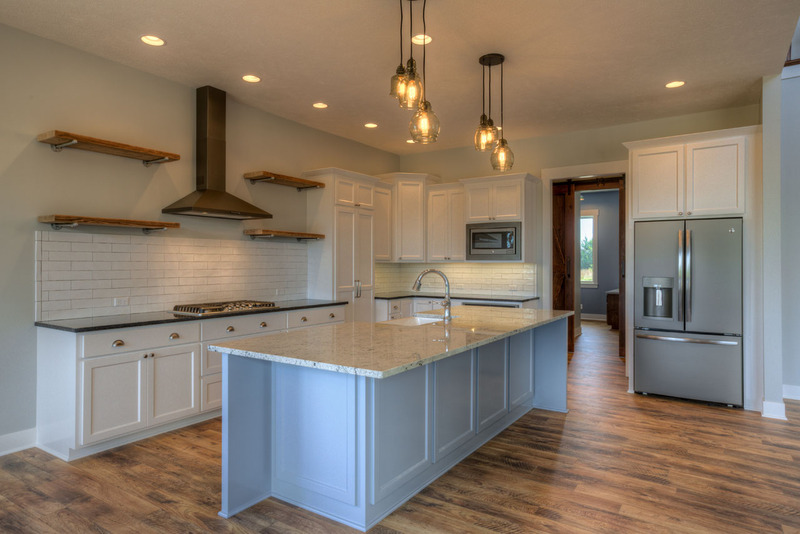 I can’t wait to see what Landmark Performance Homes and Gramercy Homes continue to do for Omaha custom-built homes–both in modern farmhouses and beyond!